Every so often a book comes long that captures the heart and the imagination. `The Breaking of The Shell’ by Barry Durdant-Hollamby is one such book. It is a story that many of us can relate to; particularly those who have lived through the hedonistic days of the 80′s when self-absorption and ambition ruled the day. From early childhood trauma and a wild adolescence, through to the (sometimes unwelcome) responsibilities of adulthood, Alexander’s journey takes us on a rollercoaster ride through life’s ups and downs, towards the profound state of peace and joy he experiences when he finally reaches a place of personal enlightenment. As Alexander’s story unfolds, I find myself totally captured by his emotional honesty and the courage he shows through facing his fears; accepting his strengths and weaknesses; and recognising the effect that his misguided actions have on those he loves and has a responsibility to care for. In one particularly poignant scene, Alexander’s shell finally begins to crack whilst out walking on the heath early one morning. As his life story begins to fall apart, the build up of suppressed emotion overcomes him and he is forced to sit and unleash the torrent of emotion that threatens to destroy him. So severe is his pain that a couple of passing joggers, concerned about his well-being, stop to sit alongside him. Silently positioning themselves, one on either side of Alexander, they simply sit and hold the space until the waves of pain and the raw emotion begin to subside. Recognising that their presence is no longer required, the kind strangers quietly leave his side, their job done. Few words are necessary – their gift of unconditional love and support is enough. The Breaking of the Shell is a very human story that will resonate with your soul. I loved it! Barry Durdant-Hollamby is based in Forest Row, East Sussex, UK. He has a big dream…to help people across the globe be the best they can possibility be. He does this through the writing of books, doing talks and workshops, 1-1 and group sessions. 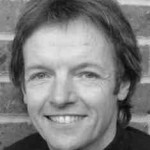 He specialises in personal crisis management, self-development, communications and relationships. 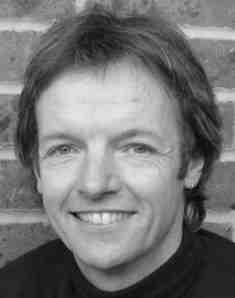 Barry is also the creator of Merlin’s Diary, the UK’s first and only dedicated Mind Body Spirit events search engine.